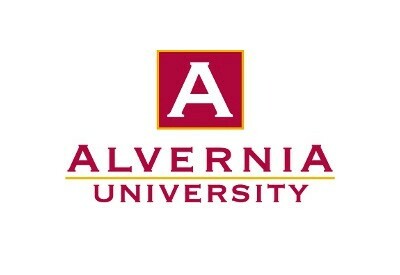 Alvernia University | Graduate Philadelphia! Alvernia University’s School of Graduate and Adult Education gives you opportunities for learning that fits your life. You can choose to take classes where and when it’s most convenient, access online courses or create a blended combination of in-class and online learning. We make it easy to become part of the Alvernia community by using a rolling admissions process, which means that we continually accept and review applications. Our unique admissions process allows for more flexibility to ensure that you start classes according to your personal schedule. You’re here to get ahead, we’re here to help. Alvernia’s Franciscan heritage includes a rigorous intellectual tradition that recognizes and values the importance of diversity of thought, faiths and cultures. We challenge our students to shape the world and transform it as working professionals, concerned citizens and caring community members, consistent with the principles and teachings of Saint Francis of Assisi. The Philadelphia Center offers flexible scheduling with evening and weekend classes, personal attention from a caring and supportive faculty, and an education that will serve you for life. Students will have access to day and evening services that include one on one academic advising so that we can work together to lay out both short term and long term academic and professional goals and set schedules and plans to achieve those goals in a convenient timeframe. Additionally, we offer library services, a 24 hr/7 days a week help desk to serve technology issues, and financial literacy workshops. Tutoring Services are also available. Alvernia offers flexible scheduling with evening, weekend, and online classes in accelerated time frames available in multiple start dates.